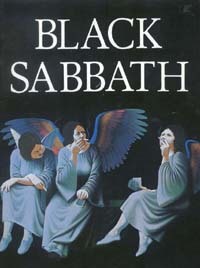 These are the tour books for the Black Sabbath tours with Ronnie James Dio on vocals. 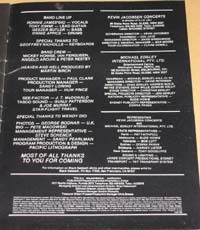 Despite some rumors, Dehumanizer tour in 1992 didn't have a tour book. The front cover shows the Heaven And Hell album cover and white text "BLACK SABBATH" on top. 20 pages, 21cm*29.5cm. 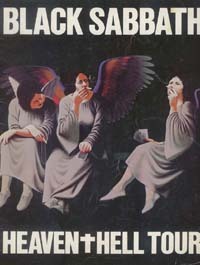 The front cover shows the Heaven And Hell album cover with white "BLACK SABBATH" on top and "HEAVEN+HELL TOUR" at the bottom. They continued selling this even when Bill Ward had left and Vinny had joined the band. 20 pages, 23cm*30.5cm. 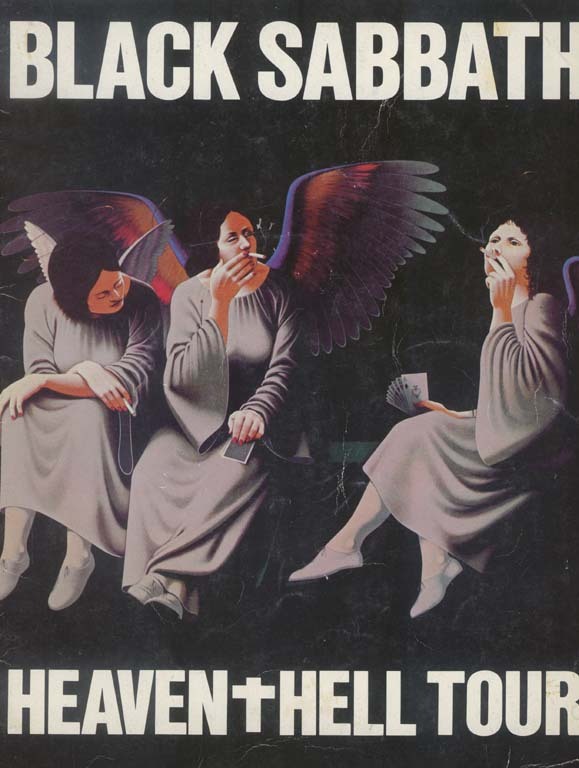 This tour book has a square cover with Heaven And Hell album cover and golden lettering "BLACK SABBATH" on top. 32 pages, 29.5cm*30cm. 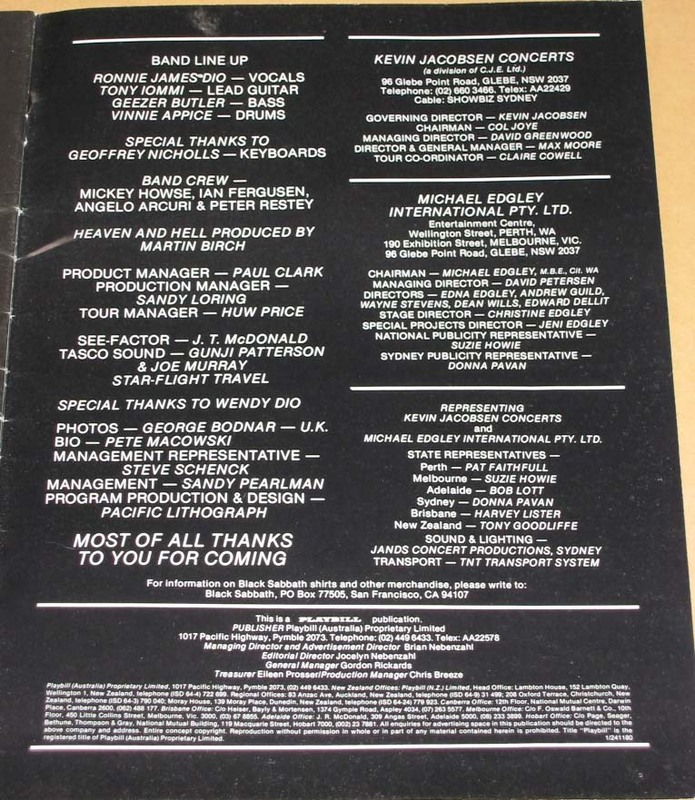 This very rare tour book was sold only on the four Australian shows in November 1980 in Sydney. The tour book looks very much like the US tour book but has a couple of extra pages. 24 pages, 23cm*30.5cm. 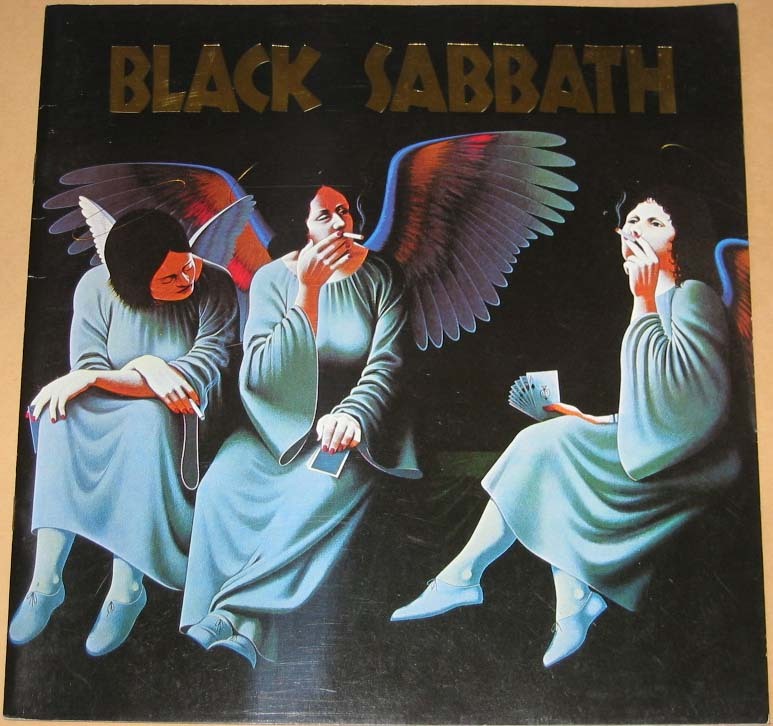 This one has a black & white Black Sabbath logo in a star on the front cover. 16 pages, 21*29.5cm. 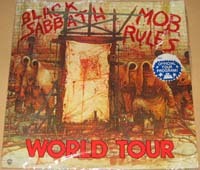 The front cover has a color live picture of the band and white "BLACK SABBATH" on top and "MOB RULES TOUR" on bottom. I believe they didn't have this tour program available on the first couple of shows. 20 pages, 23.5cm*35.5cm. 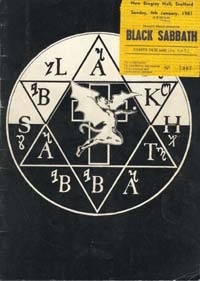 The cover has Black Sabbath logo on a cross with a skeleton hand showing the evil eye sign. 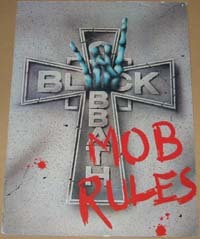 There is also a red text saying "MOB RULES" on the front cover. 24 pages, 24.5cm*33.5cm. 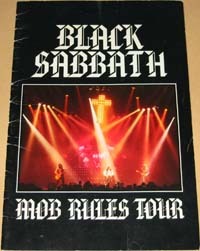 This tour book has Mob Rules album cover with a red "WORLD TOUR" text. This apparently was licensed so that it was sold in record stores as well, not just on the tour. Most copies had shrink-wrap packing with blue/white circular sticker. 16 pages, 30.5cm*30.5cm.